Happy Monday! Feel like stabbing yourself in the eye? Don’t! 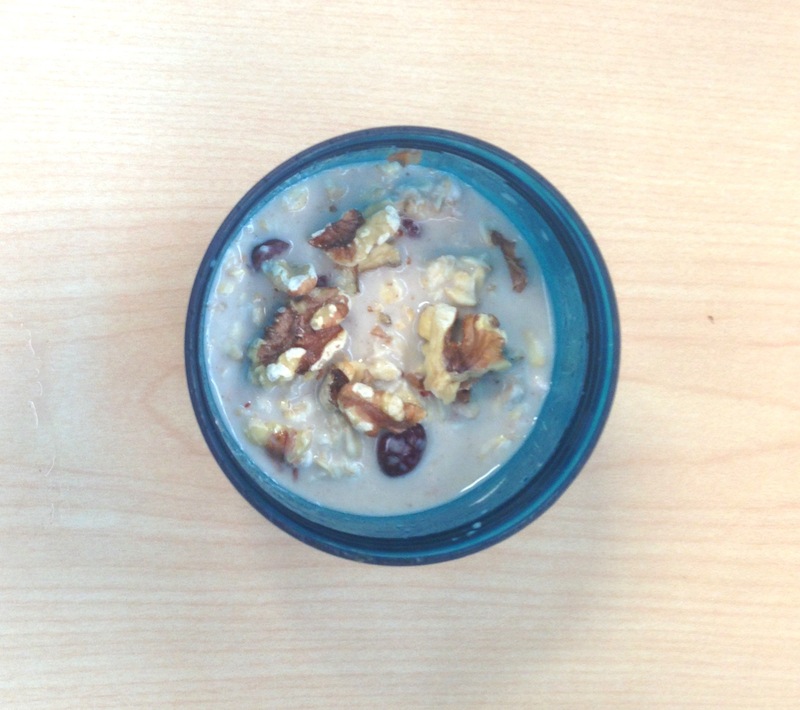 INSTEAD – make Overnight Oats. It’s easy to do, apparently it’s good for your heart/health and it’s especially good for people (me) who don’t want to be late to work because they’re trying to eat breakfast at home. Mix oats, milk, dried cranberries, honey, cinnamon and vanilla extract the night before. Put in a container (small plastic Tupperware should work) in the fridge. The next morning, stir and garnish with walnuts. Pat yourself on the back for being smart and healthy and winning at life. *One thing they don’t tell you about overnight oats is that if you put the dried fruit in the night before (you don’t have to) it becomes plump and juicy and quite awesome. **Another thing they don’t tell you is that it’s consistency is slightly slimy.